Cordova Telecom is here to keep you covered on all your adventures. Cordova Telephone Cooperative (DBA Cordova Telecom Cooperative) and Cordova Wireless are committed to the provisioning of Internet, Landline, Cellular, 4G/VoLTE data, and Over-The-Top Television services to Cordova, Alaska and the surrounding area. As a Cooperative, we work with our member-owners to ensure we provide the highest-quality, yet affordably priced communication services they deserve. We have a friendly, experienced, local staff who is available by phone, e-mail, social media, or at our conveniently located office on 2nd Street. 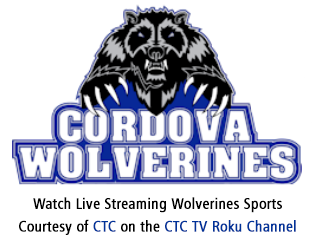 Cordova Telecom and Cordova Wireless are proud to be supporters and sponsors of local business, local community events, schools, sports, fundraisers and much more! Give us your e-mail address and we'll send you the latest news on our improved services and special, money saving offers.